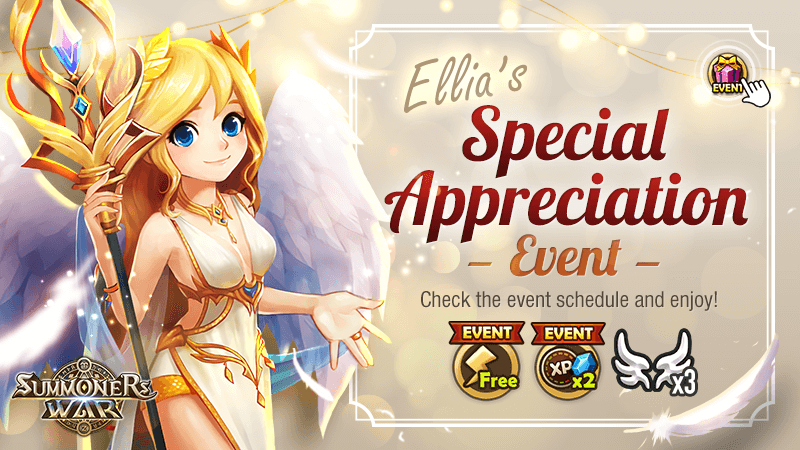 We'll be holding a <Special Appreciation Event>! - You can make a wish 3 times a day at the Temple of Wishes during the event! * The event will be held in the server time. - Enjoy 2x Mana Stones and 2x EXP during the designated time! the remaining event time will be added to the booster time based on the time you've accessed the game instead of temporarily holding the booster time. * 2x EXP from the EXP Booster and 2x EXP from the burning time event can't be applied at the same time. - Twice a day! Enter the designated content with no Energy! We hope you enjoy these awesome events!